Click on thumbnail to enlarge! 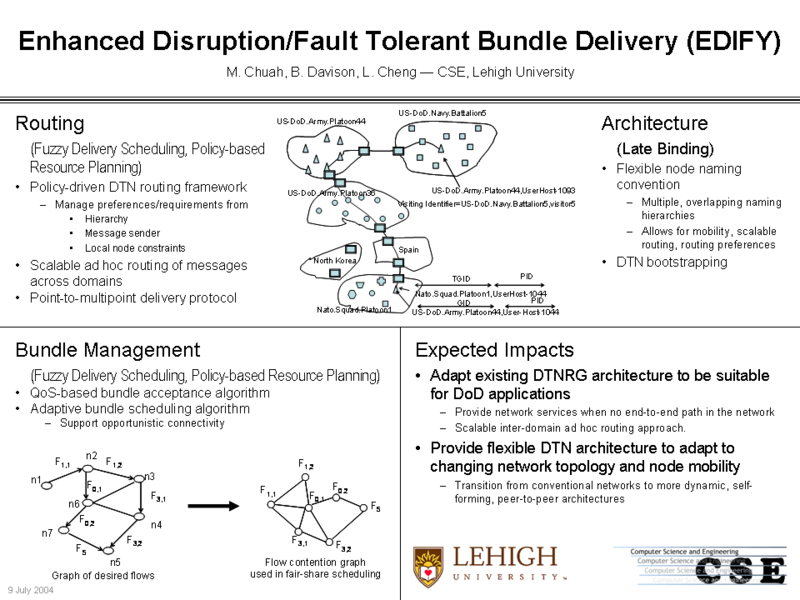 The design and implementation experience of this proxy is summarized in the CHANT 2008 paper we published. Researchers who are interested in playing with the proxy can send an email to (chuah at cse dot lehigh dot edu) to request for the code) after the funding agency has approved the release. The design and evaluation results of our intergroup unicast and multicast schemes have been documented in several papers e.g. MSN 2008 paper. Simulation codes for these schemes will be released upon the approval of the funding agency. Researchers who are interested in playing with such codes can send an email to (chuah at cse dot lehigh dot edu). The implementation our IBE-based key management scheme uses Stanford's PBC library and Miracl library. Hence, our code is only available to academic researchers. Our data centric security solution is based on ciphertext-based attribute-based encryption system. Our solution provides revocation and dynamic attribute features. More details will be provided in the near future. 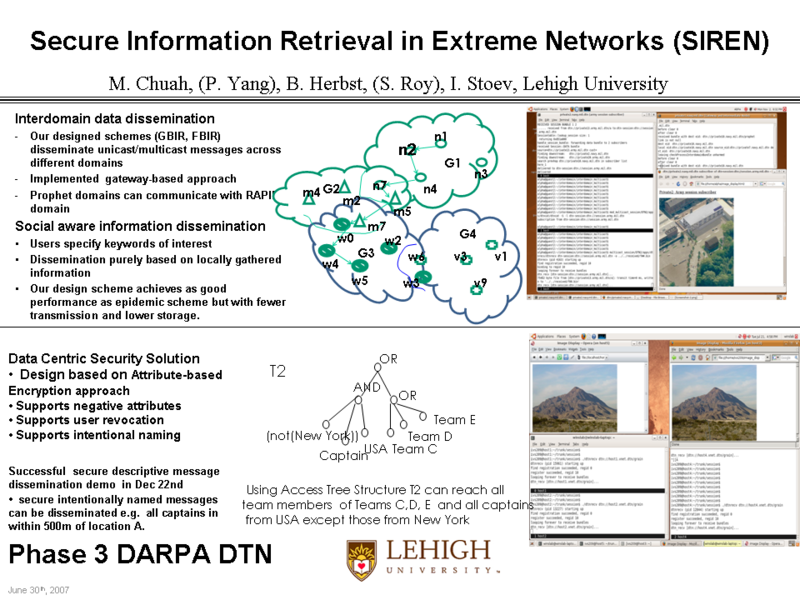 We are among the first groups that design schemes for content-based information retrieval for DTNs. We have also built a late-binding router that allows secure role-based and location-based messages to be sent in DTNs. Our implementation is built on top of the reference DTN2 implementation. Our implementation currently allows messages to be exchanged between different domains running enhanced Prophet and RAPID.